Before booking a property, you should always get the property checked from an efficient pest controller to know the status of infestation issues in advance. If you do not know whom you should get in touch with, then you can call us up to schedule an in-depth pest inspection for your property. Why pest inspection is vital for your property? You like a property in a beautiful location. Without having the knowledge about the pest infestation, you decide to buy the property. After living in the property for a long while, you get to know that the property is a home of several pests. It does not matter whether you are using the plot for building a home or for making an office, pests’ infestation can happen at any place and on all things. No matter which location of Australia you choose to select for staying or working, pests will be spotted everywhere. If you do not take immediate measures, then you might see your property getting ruined by pests in front of your eyes. Whenever pests attack your property, you would use local pest products which would bring pests back in your property again after some days. What is the permanent solution to prevent pests from harboring your property? 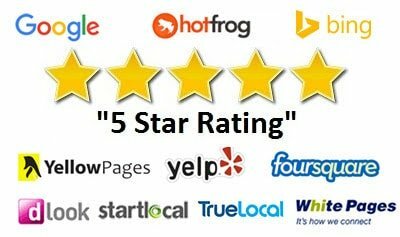 The only way to stop pest breeding forever is to have a pest inspection in your indoor and outdoor property once in three months from a reputed pest control company. One of the trusted pest control companies in Australia is our pest control company which is based in Brisbane. We put emphasis on the inspection part before starting the implementation of pest treatments. Our pest inspection report will let you know the present condition of pest infestation. If our pest inspectors happen to find pest infestation in your property, then our efficient pest inspectors Brisbane will inform you about it and they will use appropriate pest treatments right after the pest inspection. We execute pre-purchase property inspection and post-purchase property inspection services to our clients. Feel free to approach us anytime. Pest breeding in a property is not a good sign for the environment and especially for the people who are living in the pest-infested zone. Pests hide in places where your eyes will not be able to catch them. Therefore, people do not come to know the infested points of pests. Pests can breed under the ground and above the ground as well. Knowing the infestation spots will help you save your health and priceless objects. Pests breed at a speedy rate. As a result, pests can spread at different places in your property, harming your objects and your health with their creepy activities such as eating your cooked and raw food, infesting inside wooden items, chewing and gnawing your household items and contaminating your living zone with their droppings and urine marks. You should not use pesticides without knowing about the pests that have invaded your space. Not all locations of Australia will have same pests. There might be various pests in various parts of Australia. Which pests are they? Rodents, bees, bed bugs, cockroaches, spiders, termites, ants, fleas, flies, silverfish and moths are some of the common pests in Australian regions. Schedule a regular appointment with our pest inspectors to get your property assessed with the help of the building and pest inspections Brisbane services. Our pest inspectors will also tell you about every pest specie in detail, so that you can take action before pest infestation goes out of control. How will you know that your property has become an abode of pests? There are some signs which indicate about the existence of insects and toxic pests in your property. Dead bugs can be spotted near the window ledges and in the corner of the furniture items. Shredded pieces of objects in and around your residence will indicate that pests are active around your place. Noise of scratches, burrows in garden and squeaking sound of rats are prominent signs of rats near your building. Some pests such as ants, roaches, rats, flies, spiders and moths will be visible to your eyes in times of high infestation. Urine trails and droppings of pests of various shapes and sizes will signify of pest invasion. You will get many types of pesticides in your nearby stores. Do you know which pesticides you should apply and where are the actual hidden breeding sites? You may not because pests prefer to hide themselves in dark and damp places. You would apply pesticides on the surface, but it is essential to eliminate pests and their breeding sites from the roots. Therefore, you need a pest inspection in your building territory which would help understand the underlying issues of pests and their present infestation sites. 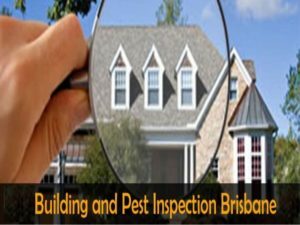 Our Pest inspectors Brisbane are always ready to provide an intensive building inspection. The accurate inspection will help our pest officers deal with pests. Our pest inspectors are extremely qualified and certified in pest inspection field. We execute building and pest inspections Brisbane in a thorough manner. No part of the building will be left uninspected. From the base to the structure of the building, every part will be checked in a thorough way by using proper inspection tools. We will check the termite infestation in your building. It is the termites which destruct buildings by making infestation underground which leads to the residences. The inspection report determines the next step of pest treatment and how the process of pest treatment will be followed thereafter. The pest inspection survey also notifies the current situation of pest breeding in a building. Hence, every building should have pest inspection at first before the construction of a building. Our termite inspection Brisbane can be booked at a reasonable price. Avail our free quote service from our website at your earliest.